I wanted to share my huge win on Muse, Wild Inspiration earlier this week. With a €2,- bet, I won over €1600,- with one spin, during the bonus game. When you get the bonus game at Muse, Wild Inspiration the wild symbols that turn randomly expanding, sticky or have a multiplier, will have 2 features. So for instance an expanding/sticky wild. During my free games I got an expanding sticky wild on reel 4, so I got a respin and below is the outcome. The harp on front, 2 expanding wild with a x2 multiplier, the expanding sticky wild and another harp. Could not believe my eyes, €1670,60 with one spin! That is almost 1000 times my bet. 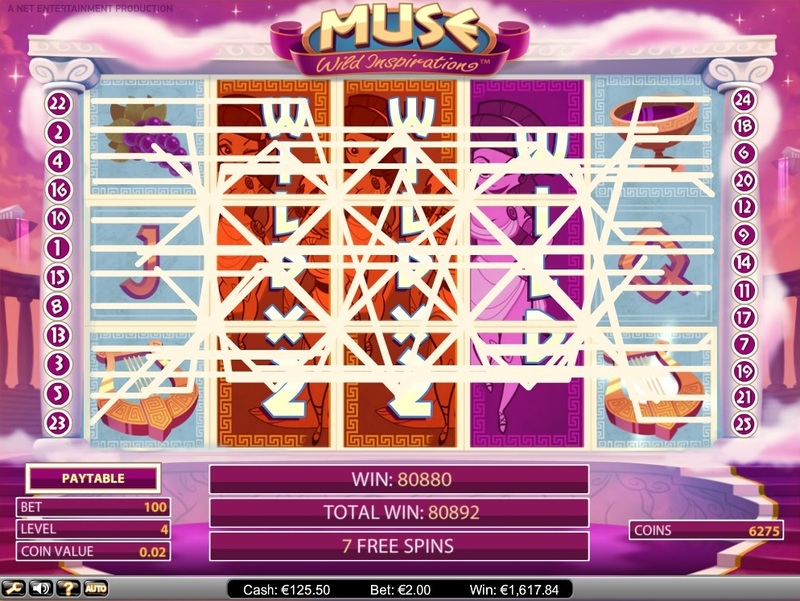 I played Muse, Wild Inspiration slot game at Casumo, a very fun NetEnt casino with trophies and more.